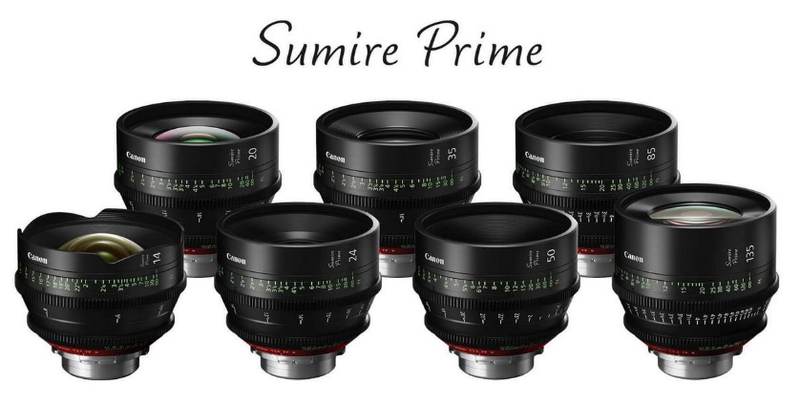 Canon has announced a new series of Sumire prime cinema lenses designed for use with Arri PL mount. The lenses can also be modified to an EF mount. The lenses are compatible with either a 35mm full-frame format sensor or Super 35mm format sensor, including selective Cinema EOS cameras. With their newly designed cinematic look and unified warm colour tone, these prime lenses are designed to enhance creativity and operability in the cinema industry. The lenses feature a large diameter aspheric element and anomalous dispersion glass, offering a delicate, velvety nuance when the aperture approaches its maximum setting during shooting. This unique optical design results in solid and natural image rendering, bringing impressive image quality and warmer tones to cinema productions. Supporting an 11-blade iris, all the lenses feature precise manual control, providing cinematographers with richer levels of rounded bokeh for better impression of subjects and softer rays of light – perfect for creating intimate shots that direct the viewer’s attention to specific details. Thanks to their large lens diameter, a brighter T-number is possible, making these lenses an ideal choice for filming in challenging low light scenes – as well as capturing the scene with a distinctive shallow depth of field – when ambience and atmosphere is essential. The lenses will be on display for the first time at NAB 2019. No pricing or availability has been announced as yet.